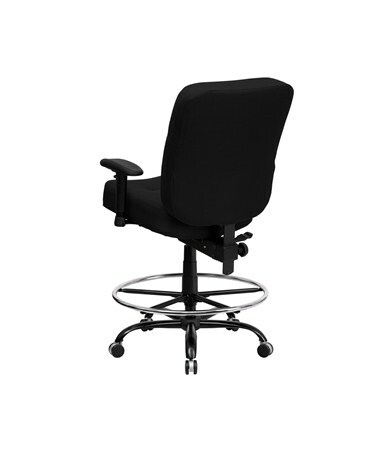 The Flash Furniture Hercules Swivel Drafting Chair with Arms WL-735SYG-BK-AD-GG is a spacious and well built extended height chair with adjustable features to suit users of all sizes. 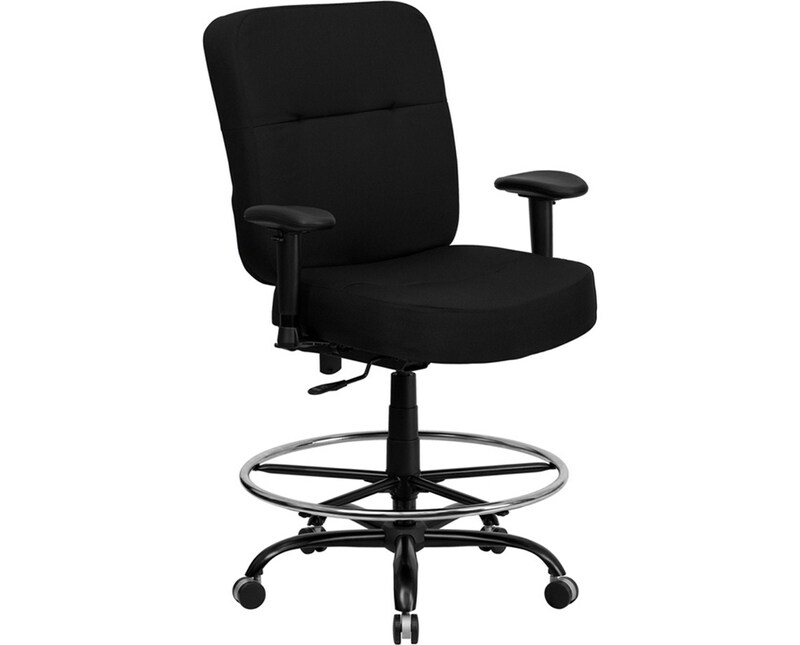 This heavy duty drafting chair has a back rest that is height adjustable over a 3 inch range, and can be locked in any tilt angle. 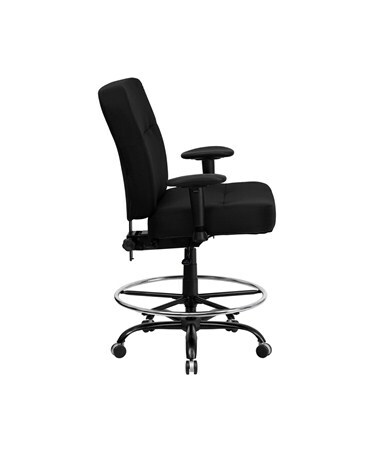 You can adjust the back independently of the seat for a wide variety of positions. 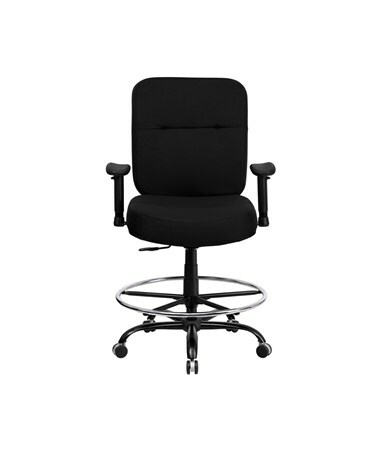 The swivel seat is height adjustable from 24 to 29 inches. This big and tall drafting chair has a weight capacity of 400 pounds, with thick 5-inch high-density foam padding on the seat and back. The back rest is 21 inches wide and 24½ inches tall, while the seat is 21 inches long and 21 inches wide. The heavy duty black metal base has wheels and an extra large height adjustable chrome foot ring. Assembly is required. 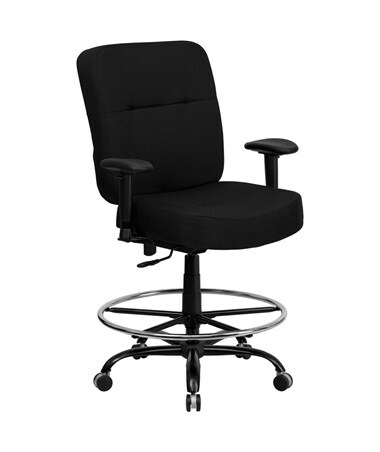 Adjustable Seat swiveling, adjustable height 24"-29"